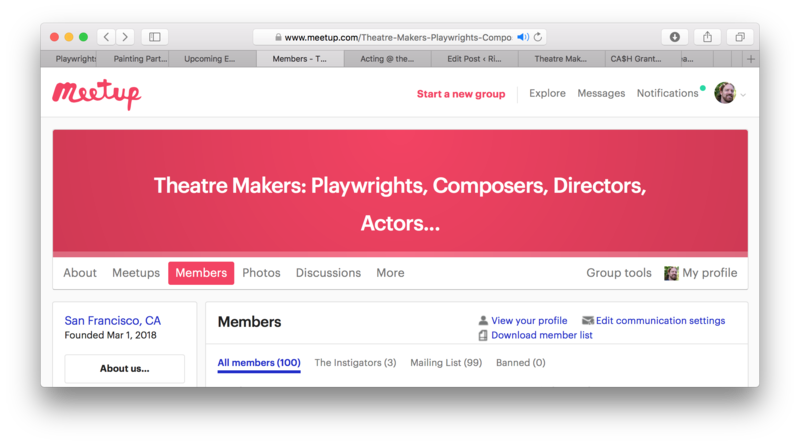 Today, the Theatre Makers project hit a milestone of 100 participants! We are very excited about the developments around the plays we are presenting for the alternative climate summit in San Francisco from September 8-15. Popup theatre with red velvet front curtain on order. Artists Sam and Antonio are working on set designs and we have a Painting Party scheduled for August 12 to paint the set backdrops. 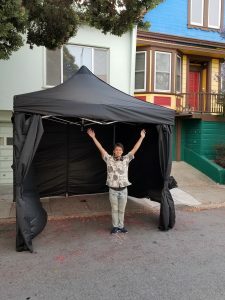 We have already received a portable black theatre tent and the fabric for a red velvet curtain is on the way, so we will have a sewing party to finish the curtain soon. 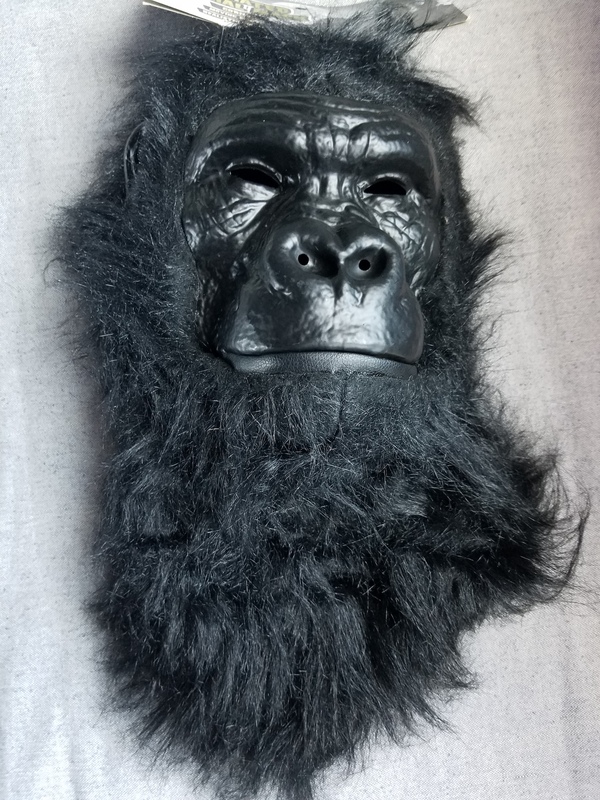 We still need to complete some of the costumes and props too, although we have been gathering lots of clear plastic for Ecopocalype already have a cow and a gorilla for Animal Factory Farm! 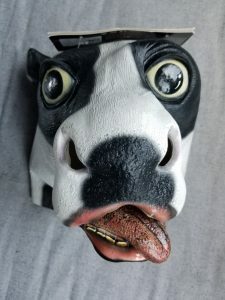 Finally, we still need volunteers and donations for all kinds of theatre-related positions and tasks, such as painting sets, sound equipment, lighting equipment, venues, audience management (encouraging participation, handing out programs, etc.) at the shows, making props, making costumes, stage managing, and healthy vegan food, so please email us to volunteer or donate stuff. Donating funds would also be very helpful!